The Brexit vote in the EU Referendum has resulted in the 15-year gilt yields fall 52 basis points in a week to an all time low of 1.41% causing providers to reduce annuity rates and further falls are expected. The 15-year gilt yields have collapsed by 52 basis points following the Brexit vote in the EU Referendum. Investors have been seeking safe havens such as bonds and gilts sending prices higher and yields lower. As a result providers of annuities have lowered their rates by up to 8% reducing the income for people retiring and taking their pension benefits. Standard providers decreased rates by an average of 2.60% and we would expect in the short term rates may decrease further by 2.90%. 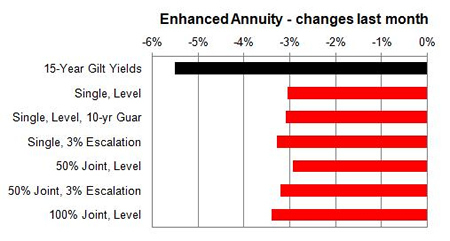 For smoker and enhanced annuity providers decreased their rates by an average of 3.14% on average and in the short term rates may decrease again by 2.36%. For the month of June 100% of annuity rates decreased by up to 7.7% following the Brexit vote. 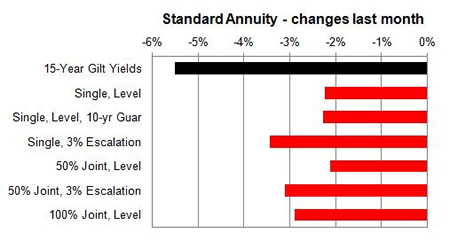 Standard annuities decreased by an average of 2.60% during the month with a larger decrease of up to 7.7%% for those aged 55 buying single life 3% escalating annuities. 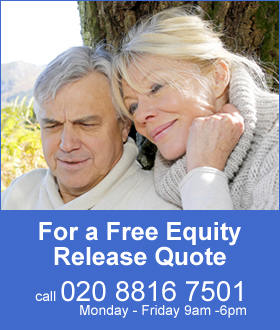 For enhanced and smoker providers rates all rates decreased by an average of 3.14% with a larger decrease of up to 4.3% for those aged 60 buying single life 3% escalating annuities.